I have constructed a lightweight panel carrier that holds multiple, wet canvas papers for easy transport while plein-air painting. I am using the Craftech Sienna Plein Air Large Pochade Box. If you are using a different easel or box, you will need to calibrate your panel measurements to fit your particular set-up. The maximum vertical height of my easel is just over 16.5 inches, so I need to make sure my panels can fit within that, should I decide to make a vertical composition. The horizontal width is more open-ended. 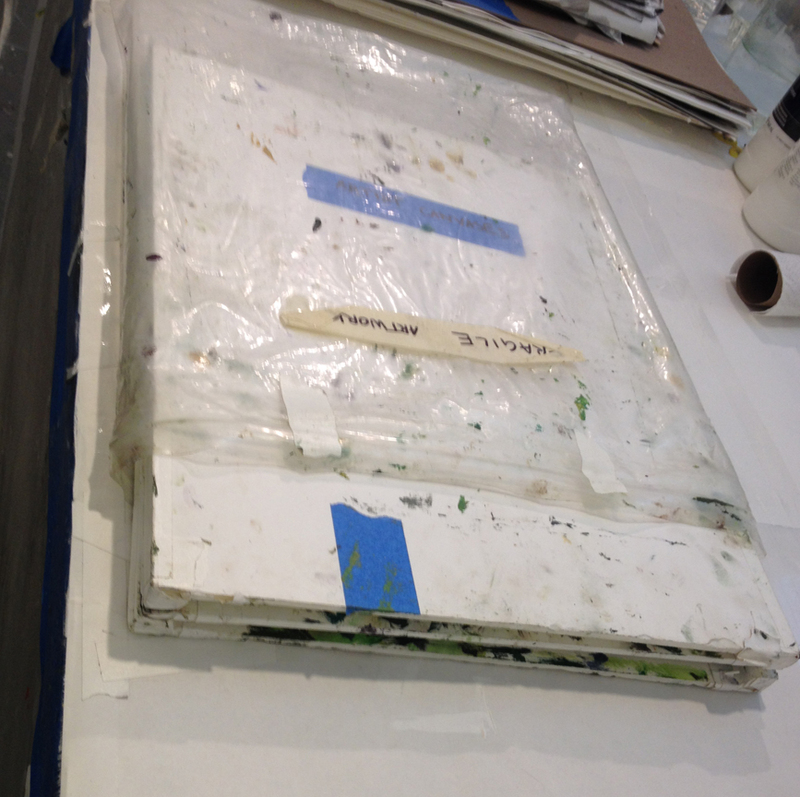 In order to fit within this parameter, I use 12 x 16 inch Canson Canva-Paper panels as my surfaces. I prefer these more rigid surfaces to the "floppy" alternate canvas papers. 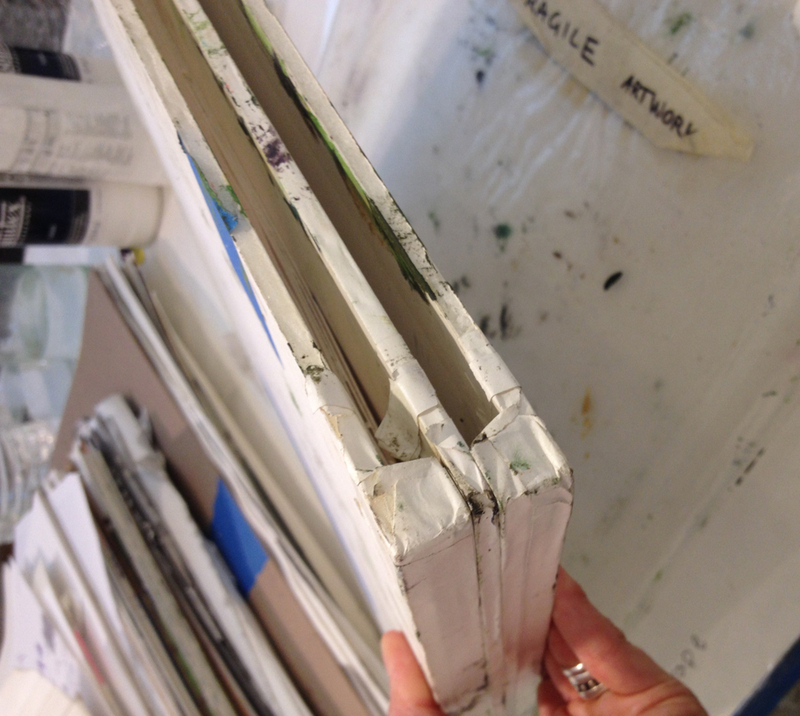 I always add 2 additional coats of white gesso to my canvas papers for a nicer working surface. To begin, you will need to buy large enough panels of gator board (mine are 1/4" thick) to cut at least 3 panels. Foam Core works ok, but is much more flexible and easier to bend/ warp. I cut my gator board panels to be 16.5" x 13.5" each. 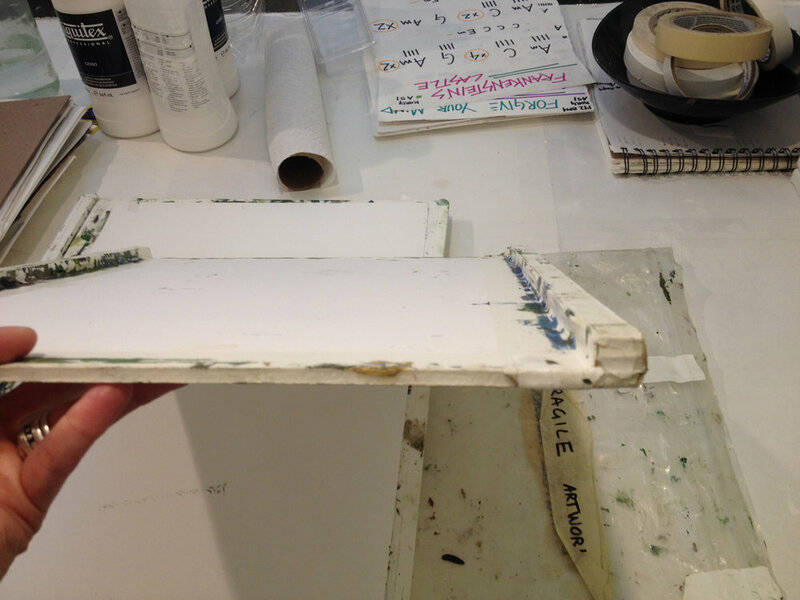 Now, in order to create "spacers" so that you can carry wet paintings, you will need to cut 1/2" strips of the gator board to stack and create depth along the edges of your panels. To do this, very carefully use a sharp utility knife/ razor and a straight edge. I have stacked 2 of these 1/2" stops along the edge of my panels. You could stack 3, which would ensure greater space for your wet surfaces (sometimes mine "kiss" and smudge a bit). I individually and thoroughly tape these strips to the long ends (16.5") of my panels. If you are making 3 panels (as shown here), only 2 panels will need these spacers. The middle panel can just be flat. This set-up will allow you to transport up to 4 wet surfaces (facing each other). You can always add-on additional panels. I like to surround my stack with a couple of large rubber bands (or tape), to eliminate too much shifting, and then tuck the entire stack into a plastic bag or other carrying case. This I hold under my arm while trekking into the landscape, while the rest of my set-up is contained in my backpack.